Our precious metal-based oxidation catalyst and catalytic units are a cost effective way to reduce carbon monoxide (CO) and unburned hydrocarbon (UHC) emissions. Typical applications include gas turbine exhaust, diesel and natural gas fueled reciprocating engines, industrial boilers, and process heaters. Our emissions control catalyst can reduce pollutants by 98% or more and help keep you in compliance. Our precious metal-based catalyst is high efficiency and durable. Available on ceramic and metal honeycomb substrate our products are resistant to deactivation, have a low pressure drop and high catalytic activity. The oxidation catalyst is supplied in modules that can be assembled in a panel for quick installation and removal. Alternately, modules can be shipped loose in rectangular, square or round configurations. For retrofits or replacement catalyst charges, our engineers can provide a custom design to meet your application requirements. Every package or catalyst unit is engineered and fabricated to meet each customer’s requirements. Each project incorporates application-specific washcoats and catalyst coatings applied to the highest quality metal and ceramic honeycomb substrate. Customized Designs – All units or catalyst products are specifically engineered and fabricated for each application. Lowest Available Pressure Drop – Our metal honeycomb substrate provides the lowest possible pressure drop when compared to ceramic honeycomb substrate. Lower pressure drop results in higher system efficiency, lower fuel or power cost, and superior overall performance. Highest Catalytic Activity – Our effective formulations provide higher pollutant reduction levels at lower operating temperatures. High catalytic activity results in increased reduction of carbon monoxide (CO), unburned hydrocarbons (UHCs) and exhaust odors at lower temperatures while utilizing less catalyst volume (less volume = lower cost) and lower temperatures (lower temperature = lower operating cost). Depending upon the application, pollutant destruction levels of 98%+ can be achieved. Modularized Design – Modular design allows for easier catalyst installation and removal (less labor = lower labor costs & quick turn-around). Contaminant & Sulfur Resistance – Our deactivation resistant washcoats and catalyst coatings allow us to provide the most durable product for your application. Robust coatings provide a long service life and tolerance to aggressive conditions. For most applications, our catalyst products are washable, allowing rejuvenation and extending intervals between product replacement. 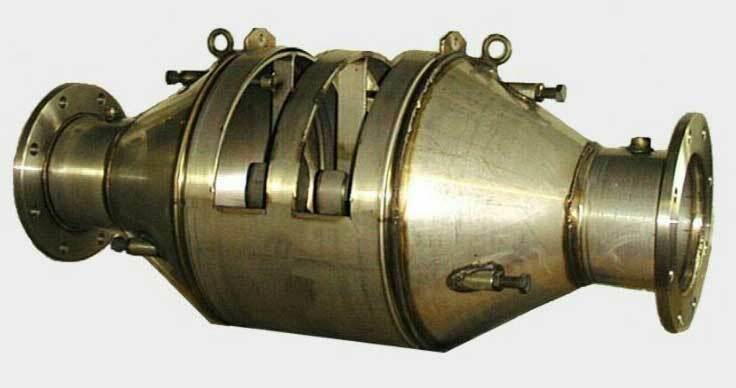 Diesel Catalyst, Oxidation Catalyst, VOC Catalyst, Catalyst Pellets, Spherical Catalyst, SCR Catalyst, NSCR Catalyst, Three-way Catalyst, Two-way Catalyst, Odor Control Catalyst, Diesel Soot Filters, Catalyzed Particulate Traps, Exhaust Silencers, Mufflers and More….